Tickets are $5.00 at the door, cash or credit. 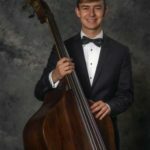 Tanglewood Institute bass workshop this summer. 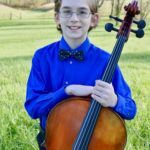 Outside of music, Nick participates in the Maryville High School’s Cross Country and Track Teams and has just earned his Eagle Scout rank from Troop 81. He enjoys camping, photography, athletics, and spending time with friends and family. Natalie Gregg is a junior at the University of Tennessee, Knoxville studying flute under Dr. Shelley Binder. Natalie is double majoring in Flute Performance and Musicology. She is also minoring in Music Business, and Entomology and Plant Pathology. Natalie is a member of the UT Chancellor’s Honors Program and is also a Student Ambassador for the University of Tennessee School of Music. Natalie has performed in masterclasses for many artists, including Paula Robison, Bonita Boyd, Walfrid Kujala, and Jim Walker. Most recently, Natalie was selected to perform in the Florida Flute Convention Piccolo Masterclass with Nan Raphael in January 2018 as well as the J.L. Smith and Co. Masterclass with Denis Bouriakov in October 2017. Natalie has also been chosen as a finalist in the University of Tennessee Concerto Competition in both 2017 and 2018. Natalie is currently the Principal Flute in the University of Tennessee Symphony Orchestra, and she also plays piccolo in the University of Tennessee Wind Ensemble. 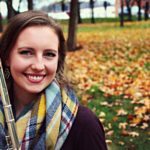 Natalie is a founding member of the student-led UT Woodwind Quintet, coached by the Knoxville Symphony Orchestra bassoonist Aaron Apaza. In the future, Natalie hopes to play flute professionally in an orchestra while also maintaining a private studio of students. By combining her love for music and for teaching young students, Natalie hopes to have a positive impact on many young musicians in the future.